By buying up dogs of all sorts and refusing to pay the licenses the suffragettes may get into jail with facility and honor. Why place a bomb on the front porch or spread carbolic acid in a mail box, when you may get jugged just as well merely by refusing to pay your dog tax? If one dog sent you to prison for one month, how many months would you be forced to serve if you owned 100 or 200 dogs? Meanwhile you might put on all the dogs blankets inscribed “Votes for Women” and turn them loose in the Strand to the confusion of the bobbies and Parliament. For the last several years, a number of American church leaders have made explicit political endorsements from the pulpit — and have even taped these endorsements and sent them in to the government as proof. In the United States, tax exempt organizations are not permitted to engage in politics in that way. 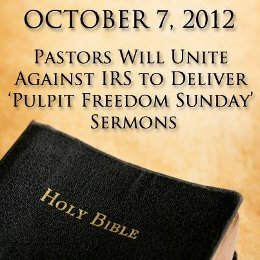 The churches are daring the IRS to take away the tax exemption from their churches, and have framed it as a freedom-of-speech/freedom-of-religion issue. Over the last several years, the number of participating churches has risen from a few dozen to over a thousand, but the IRS has yet to take up their challenge. War tax resister Ed Hedemann suggests that people in the United States who do not owe income taxes (because their income is too low), but who want to be income tax resisters, deliberately inflate their declared income with “phantom income” so that they owe some small amount that they can then resist. Surely the IRS must have genuine frauds to investigate. Surely there must be some worthwhile work this agency could be doing instead of obstructing acts of corporal mercy for the poor. …[T]he CW refuses to pay taxes, or to “structure itself” so as to be exempt from taxes. We are afraid of that word “structure.” We refuse to become a “corporation.” … [W]e do not intend to “incorporate” the Catholic Worker movement. The November 1970 issue of the anarcho-libertarian zine The Abolitionist carried an article about a “tea party” in Washington, D.C., sponsored by the National Taxpayers Union. The article is notable for showing how libertarian anti-tax sentiment and anti-war activism were much more closely allied then than now. On the weekend of October 31 and November 1 , a number of RLA libertarians including myself went down to Washington, D.C. to attend a “tea party” sponsored by the National Taxpayers Union. The NTU’s brochure cites some impressive statistics to justify the creation of their group: each year Congress and local governments continue to spend 10% more than the previous year, right now, the taxpayer is spending 44% of his working time just earning enough to pay all his taxes and since 1939 state and local taxes have risen 1700% (WOW!). The NTU hopes to mobilize enough support by the creation of local groups and cooperating with already existing tax groups to exert political pressure on politicians from Capitol Hill down to the local township committee to reduce taxation. The conference drew a relatively small crowd of 50 people but it was the best libertarian gathering, I have yet attended. The speakers included Ernie Fitzgerald who was fired from his position in the Defense Department for exposing the two billion dollar cost increase of the C-5A transport plane, Brad Lyttle of the War Tax Resistance, free market economist Murray Rothbard, author Harry Brown whose book “How you can profit from the coming devaluation” is currently on the best seller list, Karl Hess and WKCA radio commentator Jeffrey St. John. The speakers’ main target was the military industrial complex who they blamed as the primary cause for today’s oppressive taxation (over 70 billion dollars is allocated to the Pentagon). 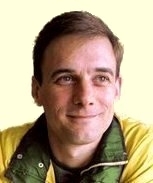 Brad Lyttle who gave one of the best addresses stated that his group is not paying telephone taxes (passed by Congress solely to support the Vietnam War) and income taxes in their attempt to put a dent into the war machine. The Executive Director of the NTU, James Davidson said his group will work closely with the War Tax Resistance people. This conference brought home to me the excellent possibilities tax organizations offer to libertarians fighting both mic and its Vietnam War and the welfare mess. Here’s our chance to sock it to both liberals and conservatives, so let’s get in there and start pitching.